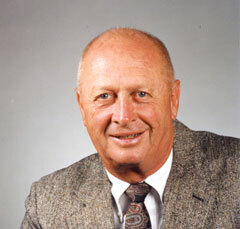 Iowa State University says a public visitation is being held today at Hilton Coliseum to honor the legacy of former Cyclone basketball coach Johnny Orr. Orr, who was 86, died Tuesday . ISU says all family, friends and fans are welcome to attend. The visitation will take place on the outer east concourse of Hilton Coliseum in front of “Johnny’s” gathering area. Doors will be open from 1-8 p.m., with the Orr family present from 4-8 p.m.
All parking lots will be open to the public except the ramp and B2 for ADA patrons. All doors except the east doors to Hilton Coliseum will be open. Adams Funeral Home in Ames is assisting the family with funeral arrangements.